Israeli Defense Officials Reject Criticism of McMaster As 'Anti-Israel' - But Refuse To Go On Record! Israeli Defense Officials Reject Criticism of McMaster As ‘Anti-Israel’ – But Refuse To Go On Record! H.R. 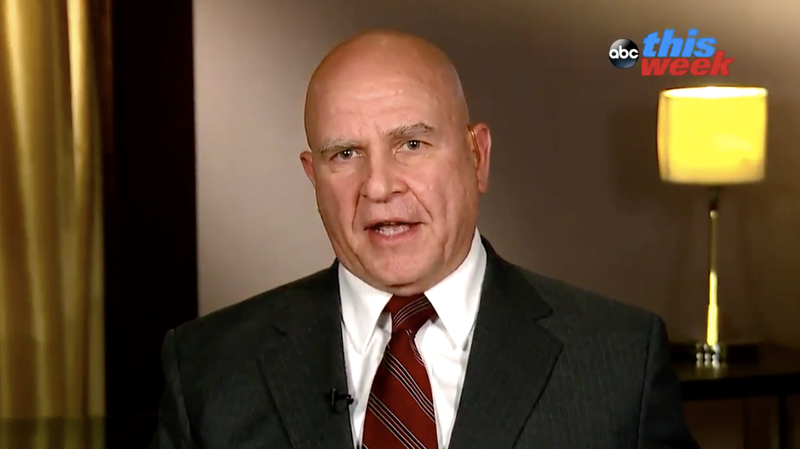 McMaster is getting hammered following reports the National Security Advisor holds a strong ‘anti-Israel’ bias. The left-leaning Israeli paper, Haaretz, is reporting senior Israeli defense officials reject reports about McMaster’s anti-Israel bias. Interestingly, not one of the officials would go on the record in support of McMaster. Senior Israeli defense officials told Haaretz on Saturday that the allegations against McMaster concerning Israel are false and baseless. McMaster accompanied Trump to Israel last May, during which he had a three-hour conversation with Defense Minister Avigdor Lieberman in Jerusalem. The meeting was described by the Israeli side as excellent. McMaster and his staff keep regular contact with the top echelons of the IDF and Defense Ministry – particularly with the head of the Defense Ministry’s political-security department, Zohar Palti. “All on our side who has met McMaster and keeps contact with him are constantly impressed by how pro-Israel he is. The relationship with him is excellent, and we really appreciate him,” one of the senior defense officials told Haaretz. If ‘senior Israeli defense officials’ hold McMaster in high regard, why not go on the record? Surely Zohar Palti, who is reportedly in regular contact with McMaster would corroborate the claim that McMaster is pro-Israel and has a positive working relationship with the Israeli government. This week, The Gateway Pundit reported in depth about National Security Advisor H.R. McMaster’s hostility towards Israel. McMaster purged pro-Israel officials from the National Security Council and reportedly blocked Israeli Prime Minister Netanyahu from joining President Trump at the Western Wall. In what may be the most striking report yet, McMaster views Israel as an ‘illegitimate, occupying power,’ just like Iran. Caroline Glick, a top columnist at the Jerusalem Times, wrote a scathing attack on McMaster this week where she even accused him of seeing Israel as an illegitimate regime. Iranian Foreign Minister Mohammad Javad Zarif says the Organization of Islamic Cooperation (OIC) must never deviate from its main goal, which is to oppose the Israeli regime’s occupation and expansionist policies. “We should not allow anything or anyone to divert this organization’s main goal, which is to promote the Muslim Ummah’s unity, counter Zionist expansionism and occupation, and support the establishment of an independent and sustainable Palestinian state with al-Quds al-Sharif as its capital,” Zarif said in an address to an OIC extraordinary meeting in Istanbul, Turkey, on Tuesday. “We should not allow Zionists to set our agenda or create new issues in order to get away with the crimes they have perpetrated against all of us,” the Iranian foreign minister added. It is imperative for the international community, particularly the United Nations Security Council, to put an end to the culture of impunity for the Israeli regime and compel it to stop its criminal plans and practices, Zarif stated. The top Iranian diplomat condemned the Israeli regime’s acts of aggression, which are aimed at altering the historic status of Jerusalem al-Quds, changing its demography, and gaining control of the holy Islamic sites in the heart of the occupied East Jerusalem al-Quds. “We believe that all who were of Palestinian origin and are wandering abroad must all return to their lands. There needs to be public elections under the supervision of the UN and, whatever the outcome, we will accept it,” he added. Rouhani made clear that he did not mean two states, an Israeli one and a Palestinian one, but rather one state. “We say that everyone must meet to vote on the entire Palestinian territory as it was in its pre-1948 borders (the date of the creation of the State of Israel -ed.). We say that all Jews, all Muslims, all Christians and all people who are from Palestine and are wandering around the world must be able to return to Palestine,” he stated. The remarks should come as no surprise, as the Iranian president and many other Iranian leaders have spoken out against Israel.